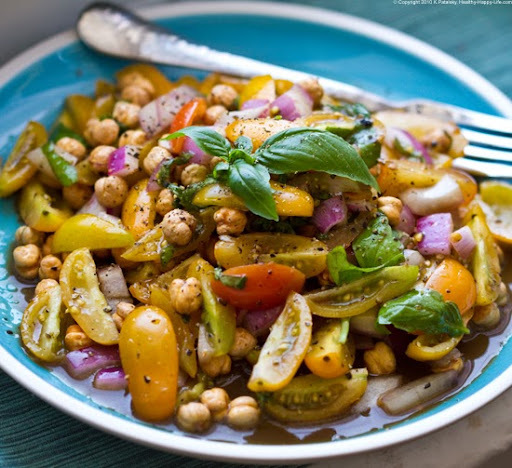 Yellow Cherry Tomato Salad: Basil, Beans, Balsamic. 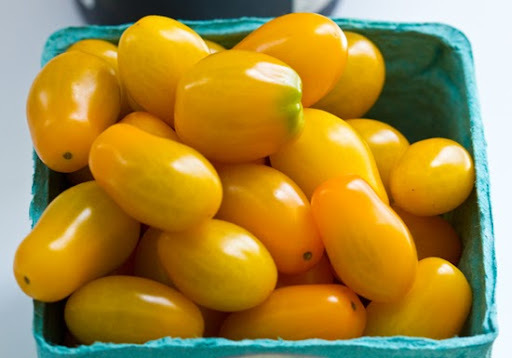 Yellow Cherry Tomatoes. 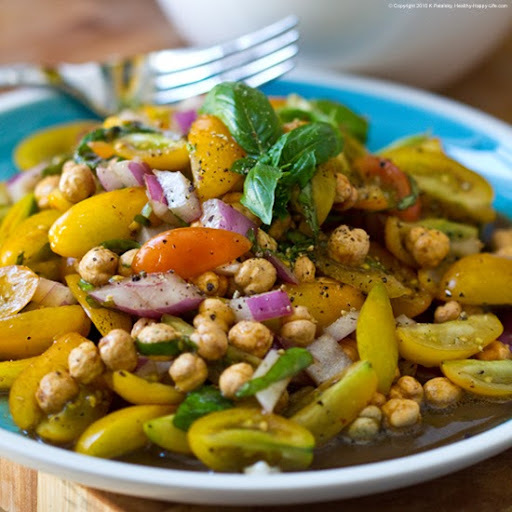 You can use and variety of tomato you'd like for this salad - but I recommend cherry tomatoes. 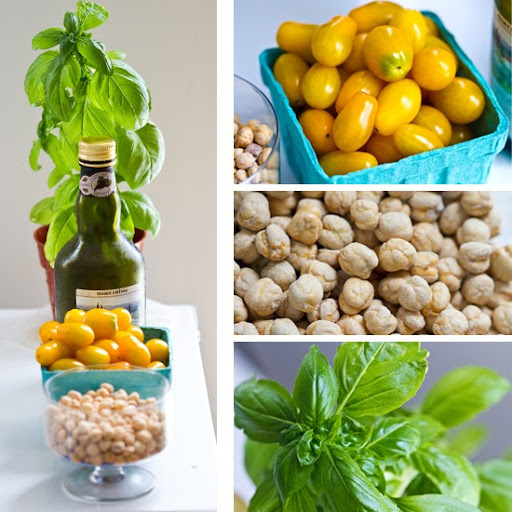 My favorite for this salad: yellow cherry tomatoes. 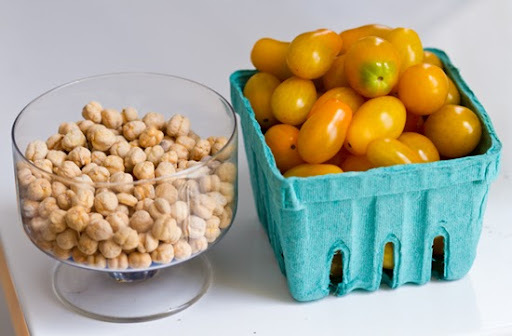 Yellow Cherry Tomatoes are easily quartered and a bit less juicy - more meaty than a red cherry tomato. The flavor is zesty, sweet and bright all in one bite. The yellow tomatoes I bought were local, organic and super fresh - and they tasted like it! 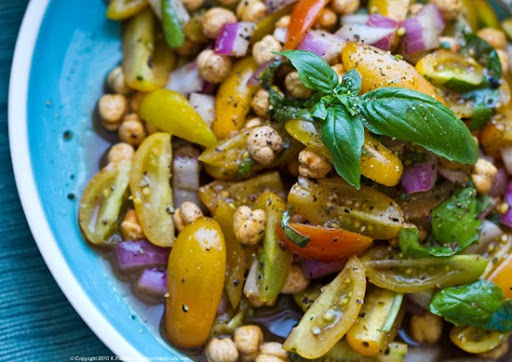 They are delicious enough to eat straight from the tomato basket - so you can only imagine the complex flavor bliss when they mix and mingle with EVOO, balsamic, pepper, basil and a splash of maple syrup. Triple B Salad. 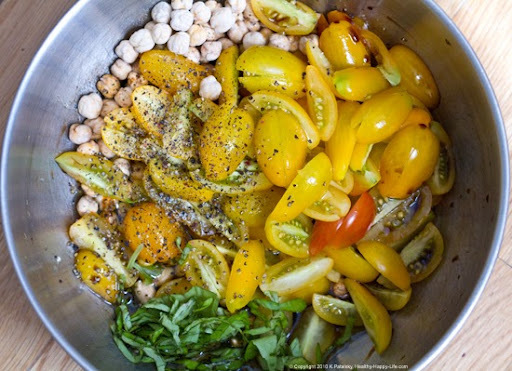 This fresh cherry tomato salad is accented by three "B's" - basil, beans and balsamic vinegar. You may use any variety of beans you'd like. 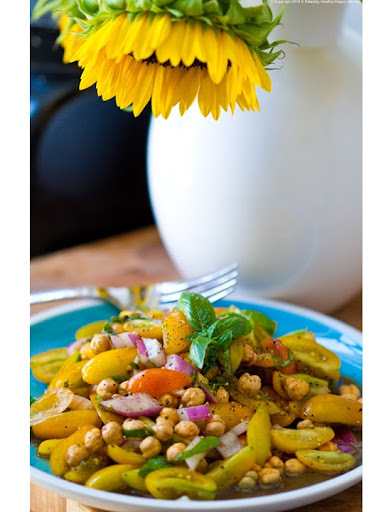 I had just purchased some roasted chickpeas at Nutbox NYC - so I decided to test them out in this salad. Obviously using a fresh-soaked or canned bean will make for a moister salad than mine. But I did enjoy the crunchy beans in my salad as a new taste and texture. 1. Prep your veggies: dice your onion. Wash and quarter slice your cherry tomatoes. 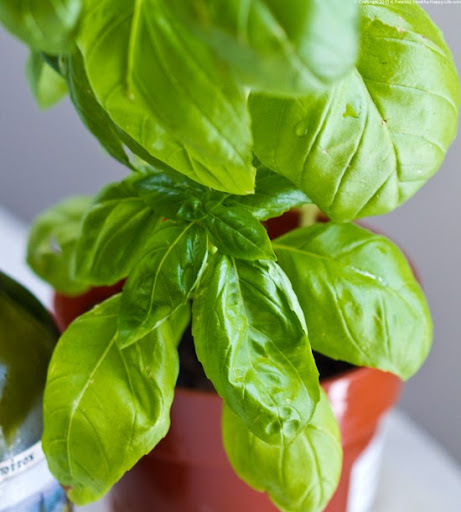 Chiffonade your basil. Place in large bowl. 2. Add all ingredients to large bowl and toss well. 3. 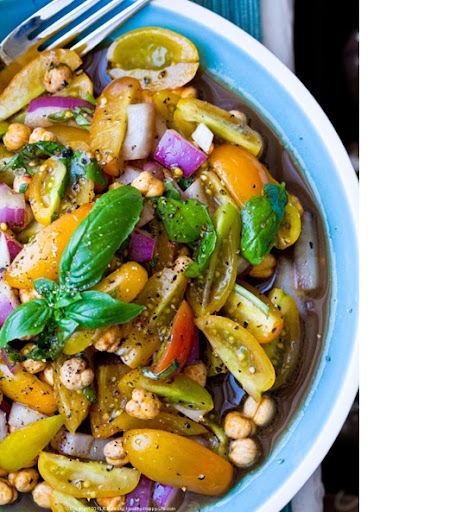 Allow to marinate 5-10 minutes before serving. 4. 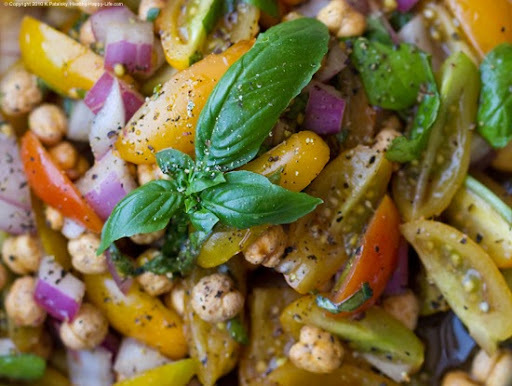 Garnish with fresh basil leaves and more black pepper.